JOHN SOUR heads out on the road and realises there’s no argument from design. Nice work by Robert Kilner here, but I didn’t realise that the CV had now partnered with Welcome to Yorkshire to promote regional staycations. As these rotations do not appear to be written up anywhere, I just had to guess some of what might have been covered. First up it would have been important to point out the whole idea of “The outer ring road” is a bit of a myth since like much of what counts as public policy in the city it consists of piecemeal fragments of disjointed roadway. You’re driving the A6110 > A653 > M62> M1> A63> A6120> A647. These stretches reveal the passing phases of national highway policy and different moments of road design. It is of course all the richer for this as it can be variously narrated as an element of that getaway Motorway City of Seventies or in today’s political rhetoric an example of “Starving the North of needed transport resources”. Just speculating here about what Robert might have put in account of these drives (or should that be derives) I’ll go with briefly with three headings, roadscapes, landscapes and “heritage sites”. Roadscapes: the route offers unique qualities in terms of “the driving experience”. Starting from Wetherby Road you have the sweeping downward single- track rural glen at the back of Roundhay Park, opening out into the dual carriageway through Moor Allerton, a brief hold up to consider the future of the Lawnswood Roundabout, downhill again past West park and the impressively refurbished Clayton Flats. Now you enter new territory of Horsforth, single track again, perhaps a little misnamed as the Broadway with a sweeping bend not to be taken at speed. 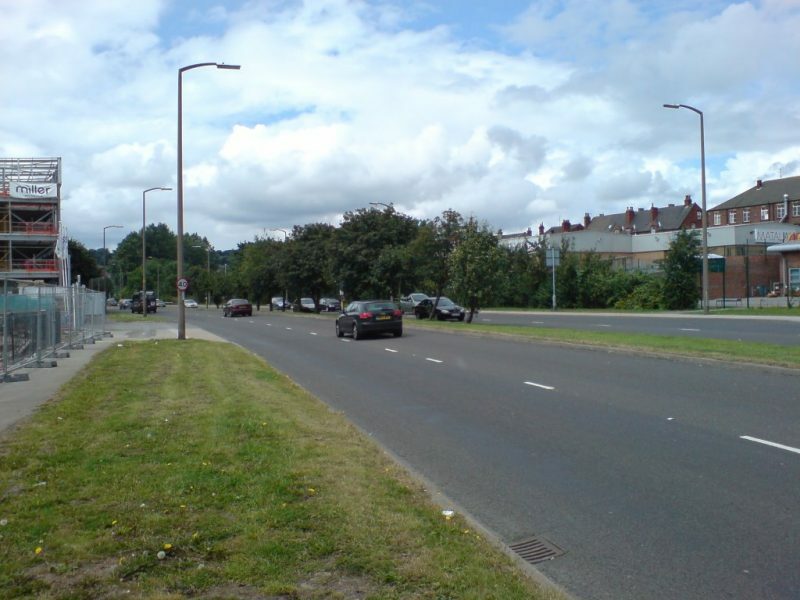 Now a part I really enjoy Horsforth Roundabout to Dawson’s Corner. This is where you can learn a lot about the history of road design with the various versions preceding today where we have had the overtaking “death strip” of the unrestricted centre lane followed by the only slightly safer “contraflow” version. 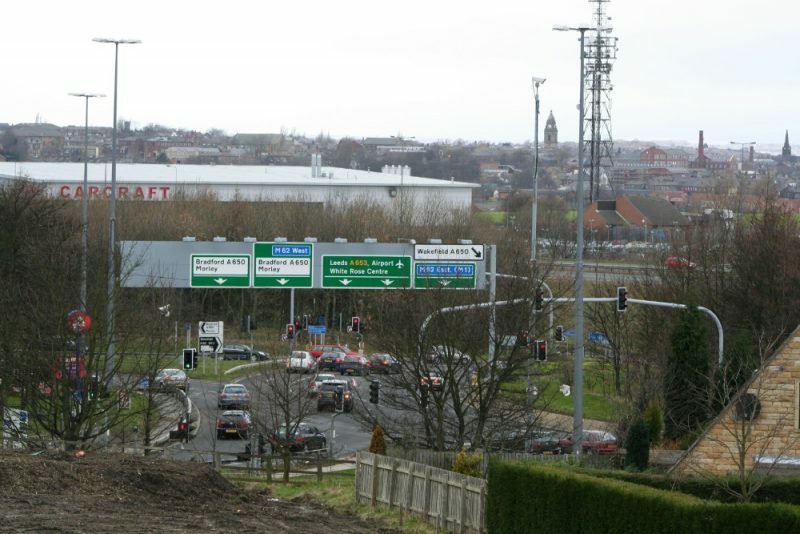 After this you are into a long drag though West and South Leeds where you are basically talking all the frustrations of urban driving at its worst: congestion, traffic and roundabout all the way through to the White Rose centre. Things get better when you speed up the hill to the Tingley roundabout and you can really “open her up” on the M62 before charging across 6 lanes of the M621/M1 to exit on the M1/A1 link. You need to hold things steady as you hit the bumpy concrete aquaplane section before putting your foot down again before you come off at Colton. After that you can see how modern health and safety culture has really spoiled things for the driving enthusiast as what used to be a chance to street race through Austhorpe along the dualed section to the roundabout for Halton/Temple Newsam has become a nightmare of traffic lights and pelican crossings. 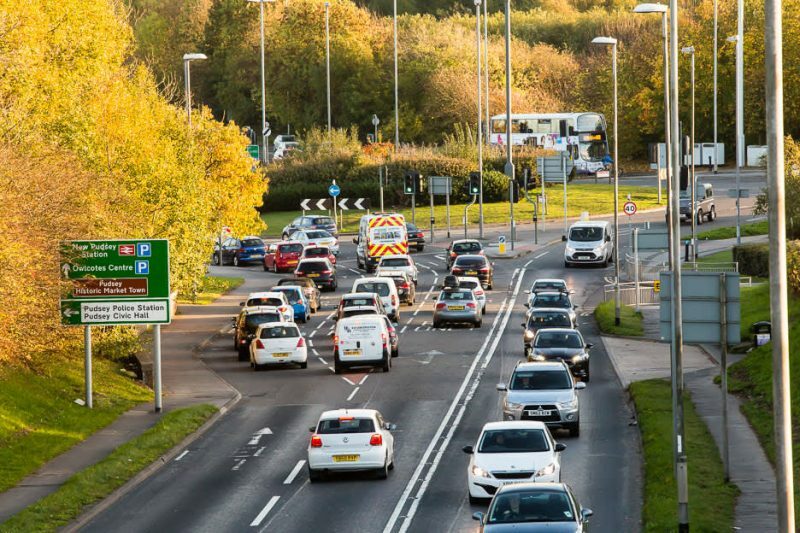 You go right at the Roundabout and through Cross Gates watching out for the speed camera opposite the shopping centre. There a chance to speed up a little up towards the York Road roundabout minding the parked cars; then it though Seacroft Industrial park to meet the Wetherby road again. Landscapes: again it’s all in the eye of the beholder but on our route, you are in a delightful world of office parks, retail centres, industrial and post-industrial sites and scrubby urban edge lands. Its probably enough to list some of these. Notable office parks include Lawnswood with an “interesting” 1990’s extension but basically “anchored” around WIRA house (see below), then right round to the Arlington (or is that now the White Rose) business park with its iconic “Glass Palace” up to Capitol (1& 2) Tingley suitably named for this largely non-place although just off the route there is a Village Hotel and Available Cars to add enjoyment. I will skip over the more remote and inaccessible Leeds Valley Office Park and conclude with just a note of Thorp Park that most emblematic of all Leeds’s office parks which lies opposite the Colton Roundabout. With retail centres again, I will be selective but there is a great historical range to explore. I’ll miss out for instance Super Marks at Owl Coates, Elland Road and Seacroft Centre. 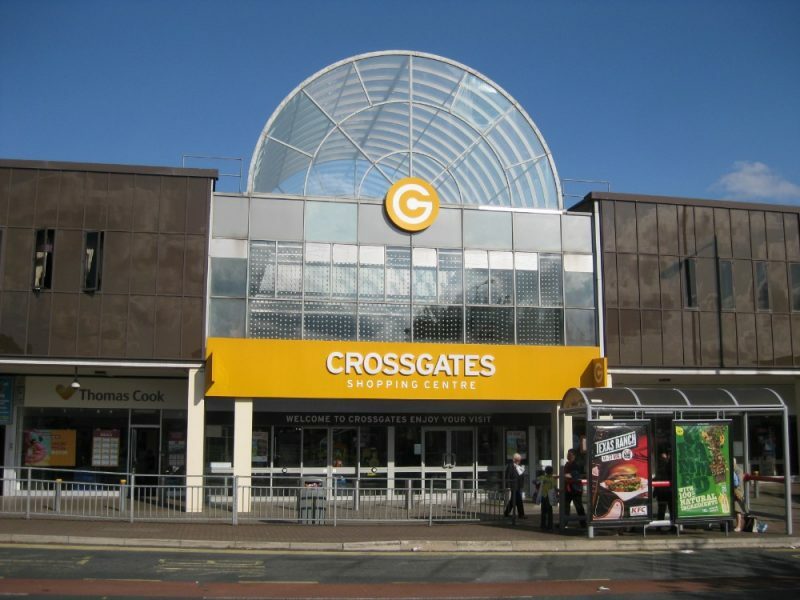 The Cross Gates centre is the place to start as one of Leeds’s oldest malls and one which has had several refurbishments. 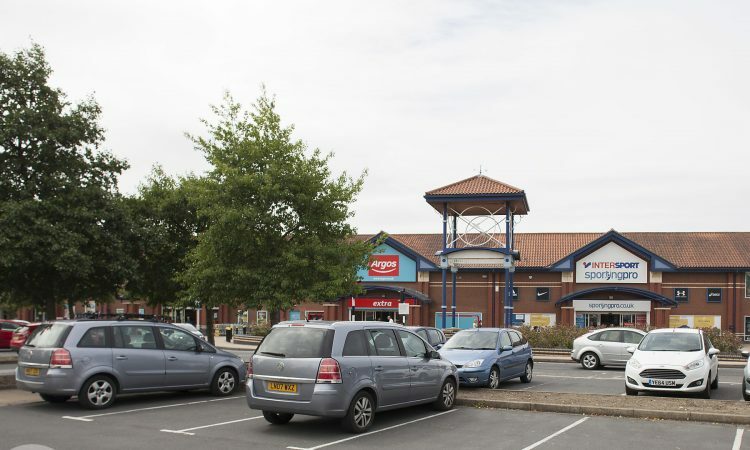 Moor Allerton too has its points of interest especially for the retail historian what has become, we ask ourselves, of Jones of Oakwood, Comet and Netto or for that matter the library which has now become a Community Hub and whither (or wither) Homebase? The centre had so much promise but now faces so much uncertainty. Not much now except Owl Coates and Elland Road until you get right round to White Rose. Newcastle got its Metro Centre, Sheffield its Meadowhall and Manchester its Trafford Centre for better or worse in the last phases of the planning boom for out of town malls Leeds got White Rose. Finally, back to Colton and another drive to shopping centre so disguised by its see anywhere offer that it could hardly be more anonymous. With Industry you have a full spectrum of the past present and future. Past and present found especially along the corridor from Dawson’s Corner to the White Rose: companies of diverse scales and sectors occupying premises from the tawdry to the high modern. 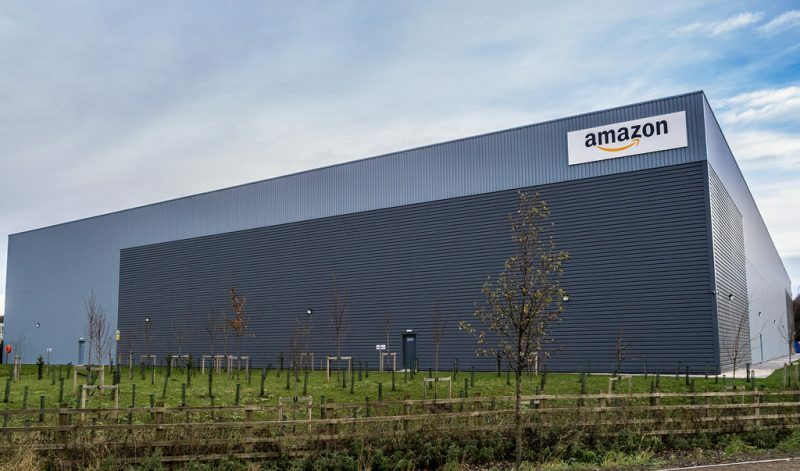 Off the A1/M1 link you have, the Aire Valley Enterprise Zone aiming you might say to “building the industrial spaces of the future” but currently dominated by the Amazon distribution hub and the Council Incinerator. Edge land scrub, small holdings and green belt fill in the spaces in between, disappearing into parks like Temple Newsom and Roundhay. Perfection here is found in the run from the White Rose to Tingley with a lonely pub, thinly tended fields and the occasional shed. Not far behind is the land adjacent to the Horsforth roundabout to Rodley, nicely wooded for bike scrambling. Heritage: I will just mention three heritage sites which might lure the traveller. 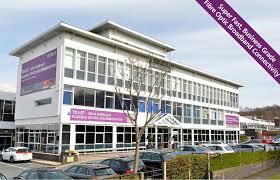 WIRA House Lawnswood; now anyone know what WIRA stands for? well it’s the Wool Industries Research Association which was one of those 1960’s science, technology and industry partnerships devised to galvanise leading edge sectors of British economy. Also based in Ilkley these Associations with their tang of state centred interventionism were simply anachronistic in the Thatcher years of creative destruction so that it become only lettable office space. Next up the Arlington Business Centre, which was originally the home of Leeds’s own first significant offering into the world of IT – Systime computers, one- time sponsors of Leeds United. Its demise reads like a Chris Nickson noire. With its “buccaneering chairman humbled by an alleged conspiracy between a US multinational, the US government and possibly the UK government all in he context of the last years of the Cold War. 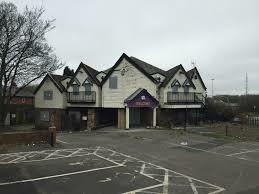 Finally, at Tingley we find the site of the former White Bear pub in its hay day a fine example of chicken in a basket dining within a suitably tasteful late 60’s/early 70’s interior décor and architecture. Suitably accessible to the motorway network its extensive car park became a centre for nefarious activities and inevitably a murder. Truly it has gone with regret. A splendid overview of the peripherique, John, and gratifyingly briefer than Iain Sinclair’s prolix outing. As a non-driver my experience has been restricted to views from the passenger seat though I’m not sure I’ld want to be in your car as you ‘open her up’. I think my favourite section of the road is through Crossgates (I would be heartbroken if they ever removed the gas holder which is quite possibly my favourite structure in Leeds); I have taken the train out there on a few occasions for sight-seeing purposes. Perhaps more could be done with the orbital in sculpture vulture terms. I would like to see more examples of the plastic arts on the roundabouts; maybe Gormley’s brick man could be realised finally on the Lawnswood gyratory and even one or two of Richard Serra’s larger pieces situated around the ring. I’m not too sure about your “High Art” solutions to beautifying the ring road. Of course we have the Crossed Gates (a bit literal for me) which stretches the imagination to a small extent but personally I like the clutter of flags, windsocks and large plastic sculptures you see on some French Autoroutes.